Generate the coverage matrix for the sample project Test a first computation with the provided sample project. Install REQCHECKER™ on your computer. This tutorial shows you how to run the sample project provided with the software. Setup automatically opens the GUI with the sample project. Click on the Report > Coverage Matrix menu. Doing this will run the coverage computaton and open the reports. 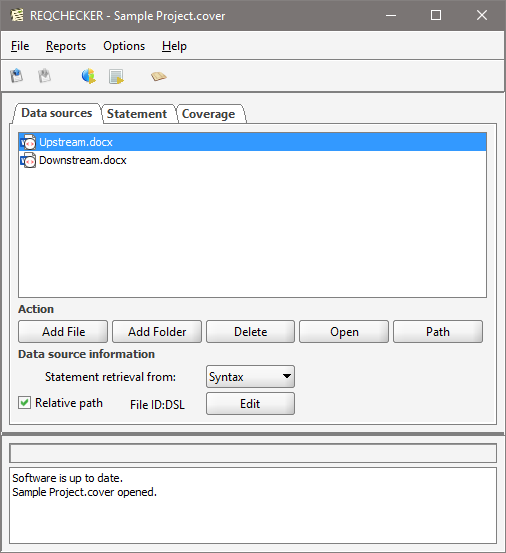 Open the signet tab of the PDF viewer installed on your computer. 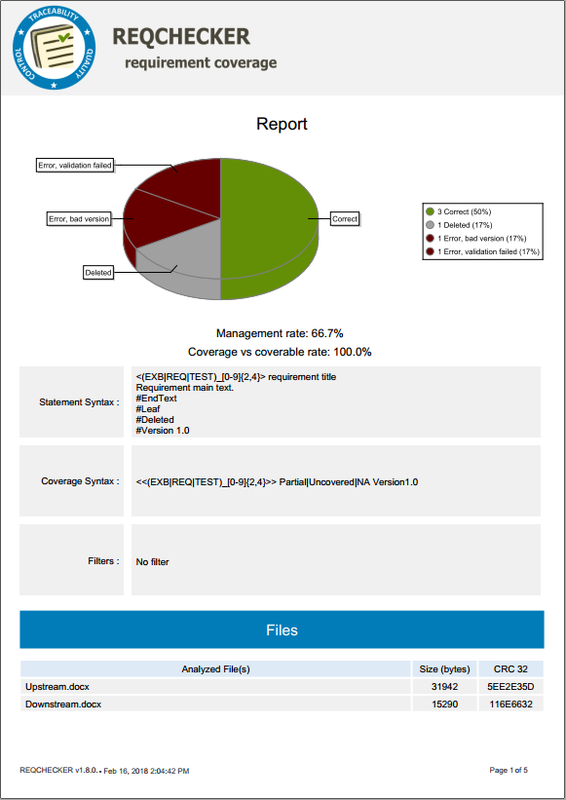 The PDF signets help you to navigate inside the report.